But now I shall make up for it with this collection of wild medicinal (and of course edible!) plants, all of which can be found growing throughout the wilds of Georgia and I’m sure most of the southeast! 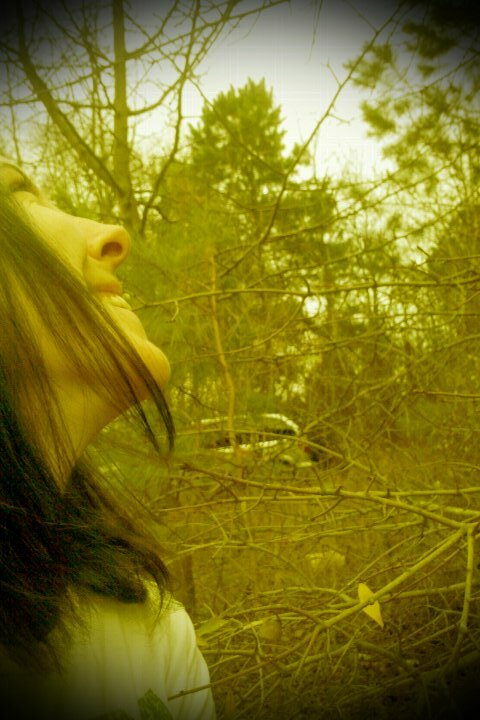 I also had the pleasure of taking a wild weed walk in my mom’s Secret Gardens, so these pictures are a culmination of both her homestead and mine. So once again, won’t you join me on the farm, and in my mother’s gardens as we walk with heads pointed down to the ground exploring the bounty of our lawns! 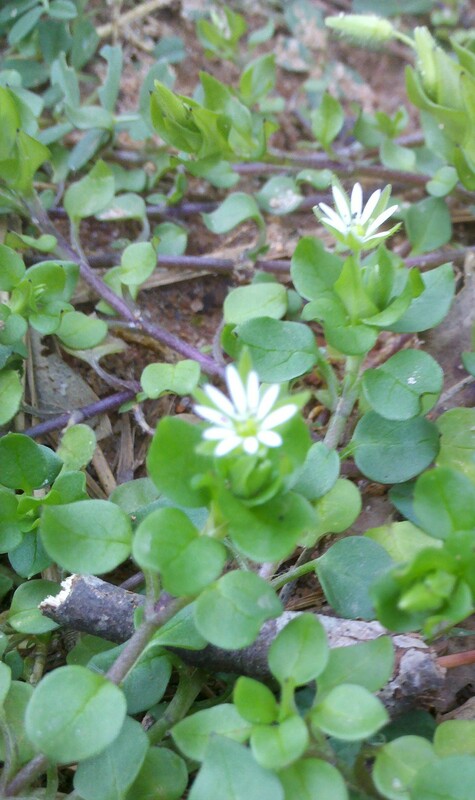 The first in the series is common in most areas of the country in one form or another- Chickweed! 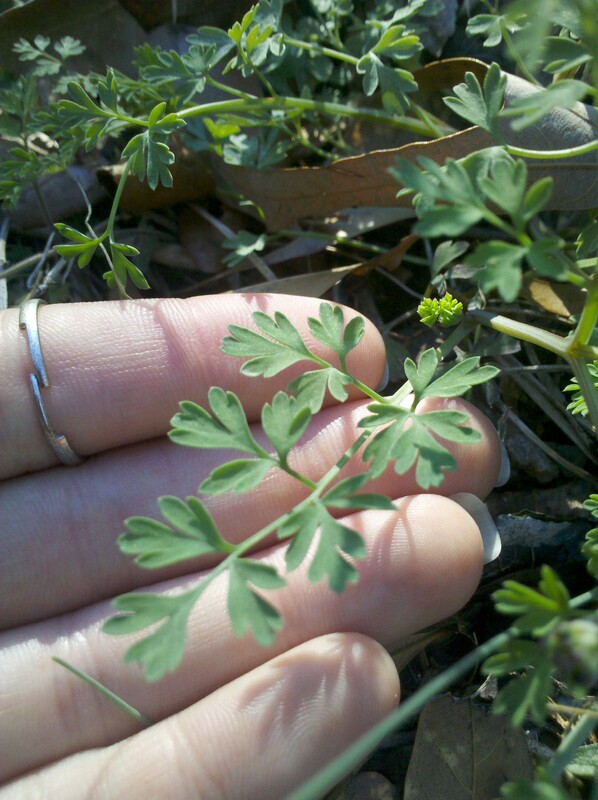 This diminutive plant is both edible and medicinal in nature; having the properties to Treat coughs, hoarseness, constipation, kidney related disorders, and is now revealing itself as an effective antihistamine! With a whole host of vitamins and minerals including Ascorbic-acid, Beta-carotene, Calcium, Coumarins, Genistein, Gamma-linolenic-acid, Flavonoids, Hentriacontanol, Magnesium, Niacin, Oleic-acid, Potassium, Riboflavin, Rutin, Selenium, Triterpenoid saponins, Thiamin, and Zinc, this plant is a treasure waiting to be discovered! One easy way to identify chickweed is the tiny star shaped flowers, which upon closer inspection reveals instead of ten petals, five deeply cleft petals. It also has a line of hair running along a creeping purplish green stem, this particular variety is called mouse-eared chickweed, and is fuzzier than the variety shown above. 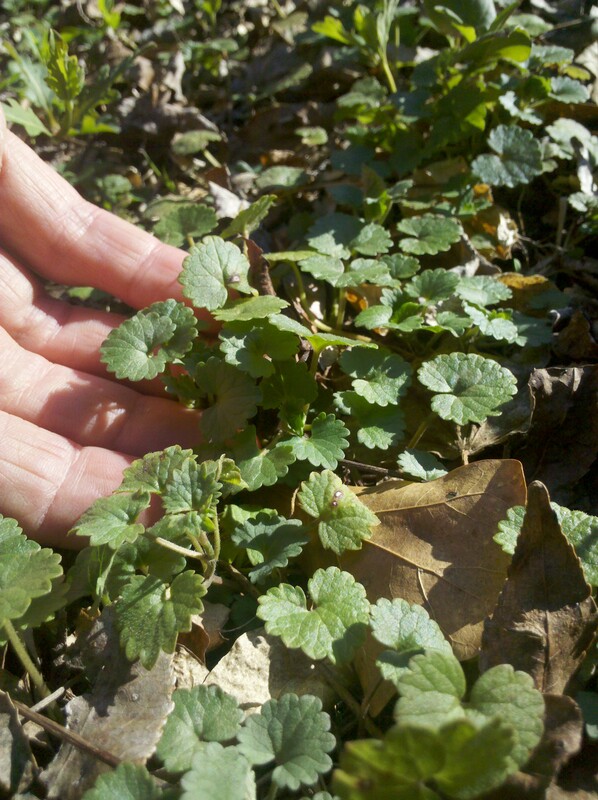 This beautiful weed is called Ground Ivy, it makes a lush green ground cover and grows in areas grass doesn't like...but be careful, it's related to the mint family and tends to take over! Thankfully, it's medicinal and edible so it adds greatly to the useful lawn. It makes an excellent spring tonic, aiding in relieving congestion and inflammation of mucous membranes associated with colds, flu, and sinusitis, stimulating the appetite, treating allergies, digestive disorders, gastritis, acid indigestion, and diarrhea. These are just a few of it's many benefits. It is also an appetizing salad and soup green adding a great host of nutrients to the meal! 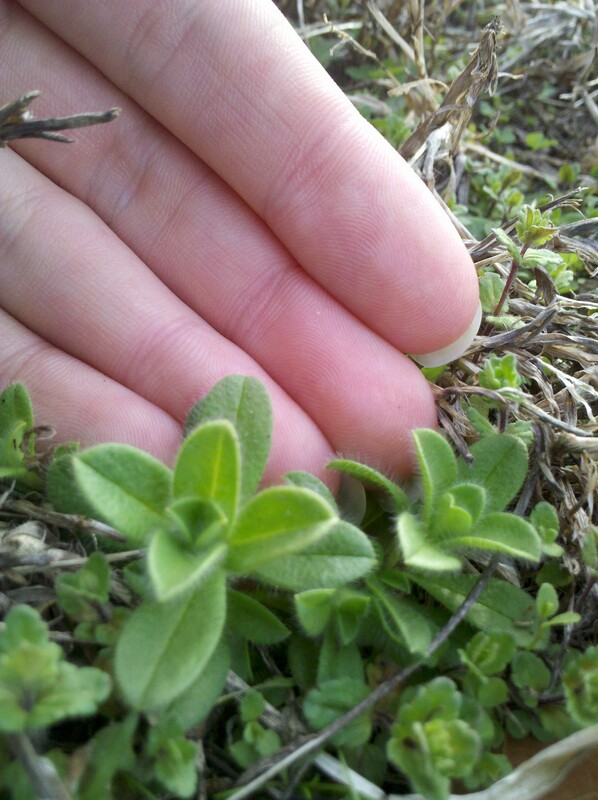 Since it is a member of the mint family, it's stem is square, hairy and creeps along the ground forming a mat, it's leaves are heart shaped and scalloped. The leaves, stems and flowers can be harvested year round, since it is a perennial. 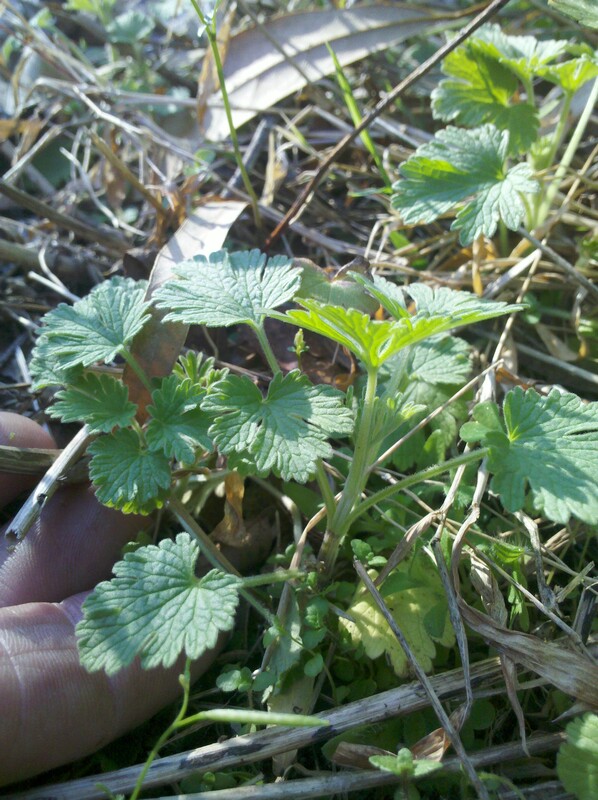 Do not, under any circumstances, confuse ground ivy with this plant! This is called Delphinium and is very poisonous!some distinct differences include the serrated leaves, rather than lobed, and the more compact nature of the entire plant instead of the creeping nature of Ground Ivy. Remember, always properly identify before you even touch a plant, let alone harvest it! 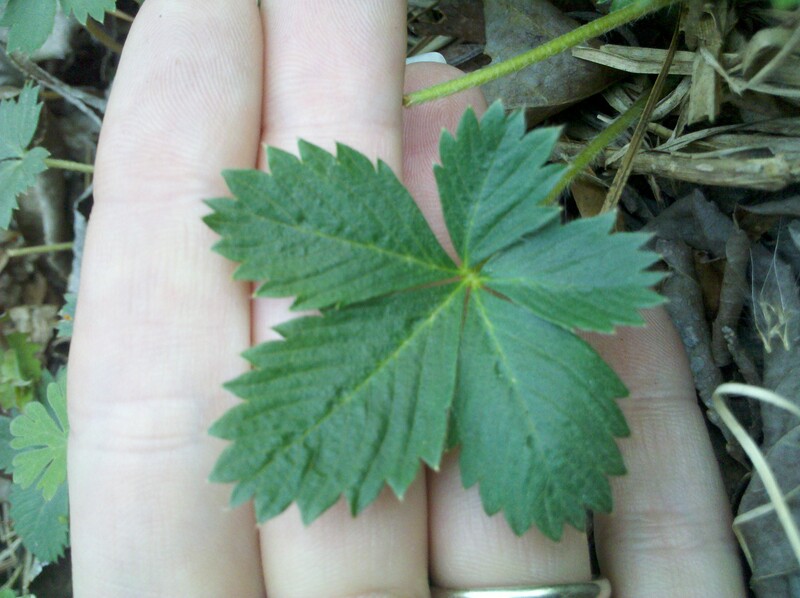 Despite appearances, no this is not a strawberry leaf! 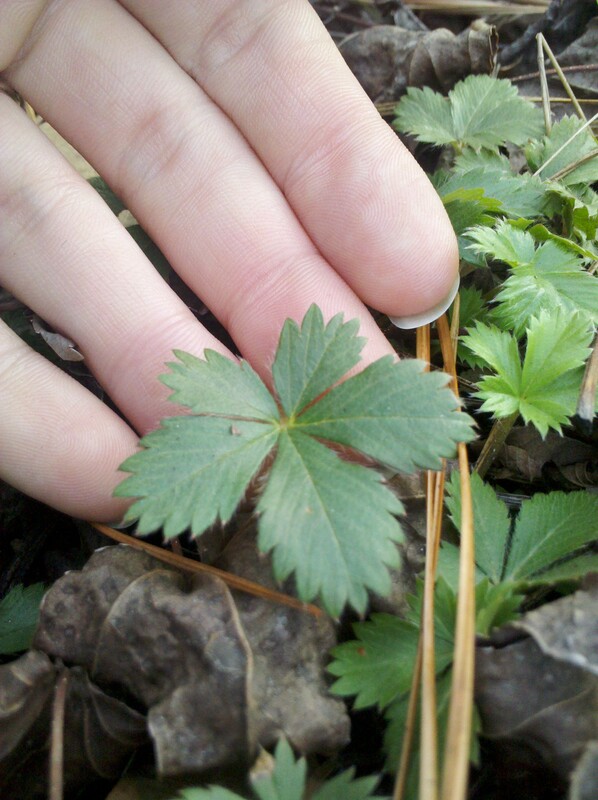 This ancient plant is called cinquefoil, otherwise known as Five Finger Grass. Purely medicinal in nature (I tried a leaf and neither the texture nor taste is appetizing in the least, so, though you could probably eat it as a salad green...well, let's just say I told ya so 😉 It's medicinal uses include treating Diarrhea, Menstrual Cramps, Mouth Inflammation, PMS, Sore throat and used as an astringent skin wash. In the old days, this herb was almost considered a 'cure all', it's scientific name; 'Potentilla' can attest to that...see 'Potent' in its very Latin origins! 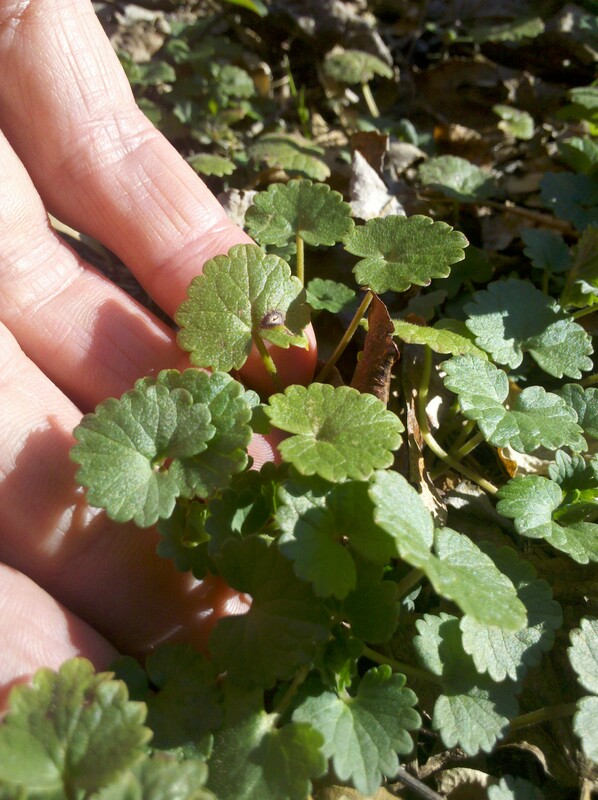 A close-up of this precious groundcover, notice the five serrated leaves on a single axis. Hmmmm....is this one of those 'what is this' closeup pictures you sometimes find in the back of a magazine? Nope! 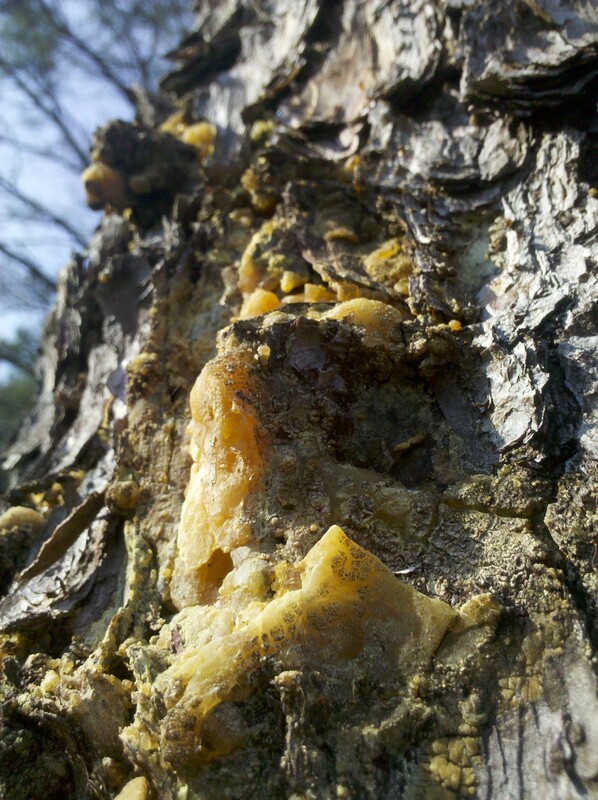 This is a most amazing resin from a very common plant...the Pine! Members of the Pine Family grow almost everywhere in America and most, if not all, are medicinally interchangeable to varying degrees of success. The Native Americans used this as a very valuable food supply in the winter when fresh vegetables were scarce. Because of it's very high vitamin C content, it's very useful in treating scurvy; the severe vitamin C deficiency commonly found in malnourished countries. Another amazing quality of Pine sap (and pine needles) is it's ability to treat just about any form of influenza, and though I've not come across a case, I'm almost certain even the bird or swine flu could not stand up to this resin's healing properties! More research is defiantly required in this area and if you come across any vases I would be delighted if you shared! 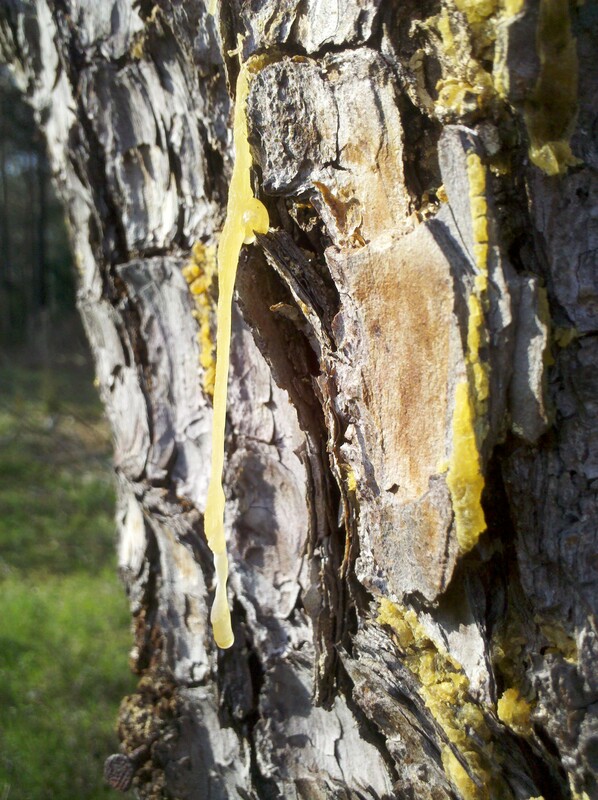 On another note, pine sap also makes an amazing healing and drawing poultice for splinters, glass, spider bites and other small wounds. There are a great many old-timey pine sap slave recipes out there so I'll not take up more space with another one, simply know the knowledge is there for the taking! 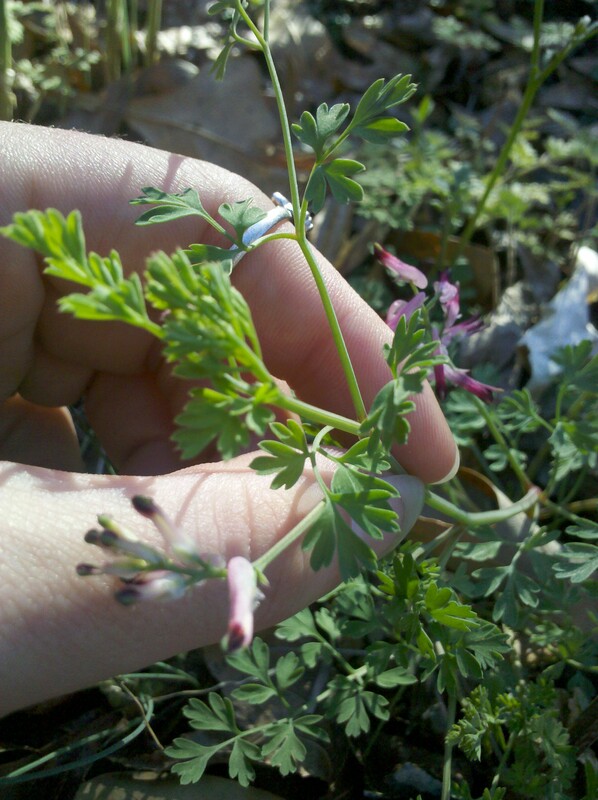 I was overjoyed to recently learn (from my brilliant mom:), that this curious looking wild plant I've been wondering about for over a year now is actually the ancient healer Fumitory! This beautiful little plant has been used in medicine for thousands of years and just it's name brings images of monastery cottage gardens, ancient monks tending the healing plants in times such as King Arthur and Robin Hood lived! Many times I'm sure the smoke of this plant has graced the halls of catholic churches and has even been used to purify sick rooms and quarantine areas! Internally, Fumitory is useful as a digestive tonic, treating gall bladder and Liver conditions, along with Being gently laxative and sedative in it's nature. Externally, it has been used to treat skin conditions such as rash, eczema, and other inflamations. Pine pitch also is great to use as part of a fire starting kit. It flames on very easily. Not sure what you got there but it looks like a type of Corydalis – fumewort family I haven’t seen before around my neck of the woods. Very very cool. Planning to do a similar post but we’ll see. Thanks and I have a total of 14 new chicks in my chick brooder with 1 old hen to teach them what to eat and where to drink. Grinning, my chickens would love to spend a day in your wild ‘weed’ garden feeding on your wide selection of native herbs. Aww! I can’t wait to get chickens! There’s so much to do around here! But I am going to have the opportunity to watch some hatch because our Aunt just got some hatching eggs, Its going to be a great family event when they start! There’s certainly a lot to learn about this subject. I really like all the points you have made.